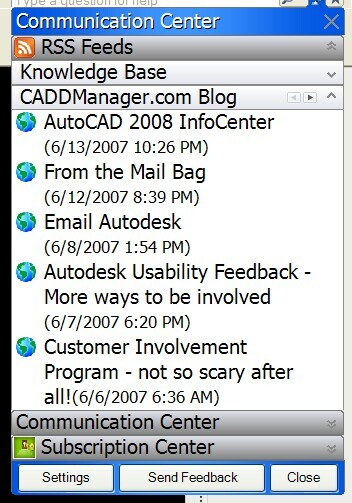 Click on the InfoCenter icon down arrow (the little magnifying glass) and go to Settings. 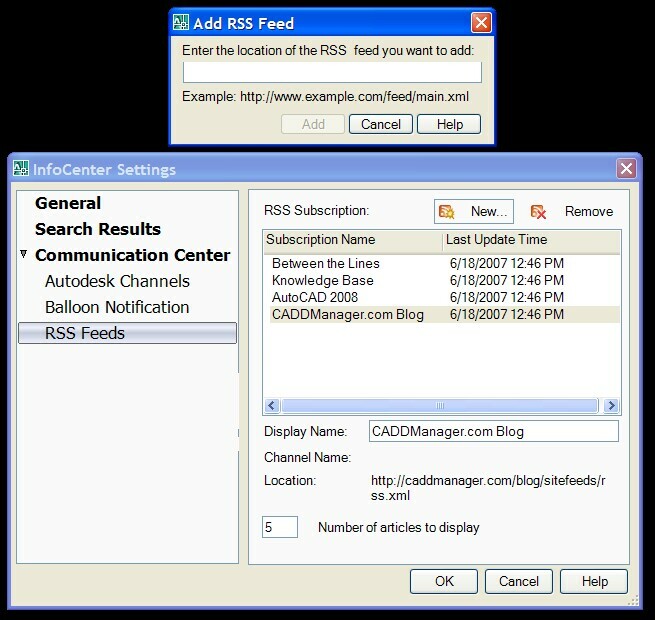 Then click on RSS Feed. Click on the Add button and type in the following in the dialog box. Once that is done, add the name of the feed and the number of posts you want to see, then save it. The next time you start the CommCenter you will see my posts.